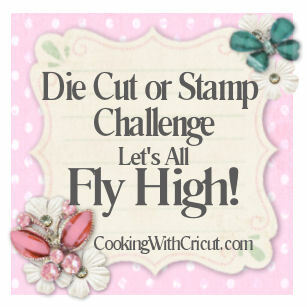 Welcome to another PCW Terrific Tuesday Stamp and or Die Cut Challenge! Today’s challenge was selected by Christel of One Scrappin Sista. Christel challenged us to “Fly High” with inspiration and creativity because it was National Aviation Day this past Sunday. The designer’s were tasked with creating projects surrounding this theme. Here is what the designers came up with.